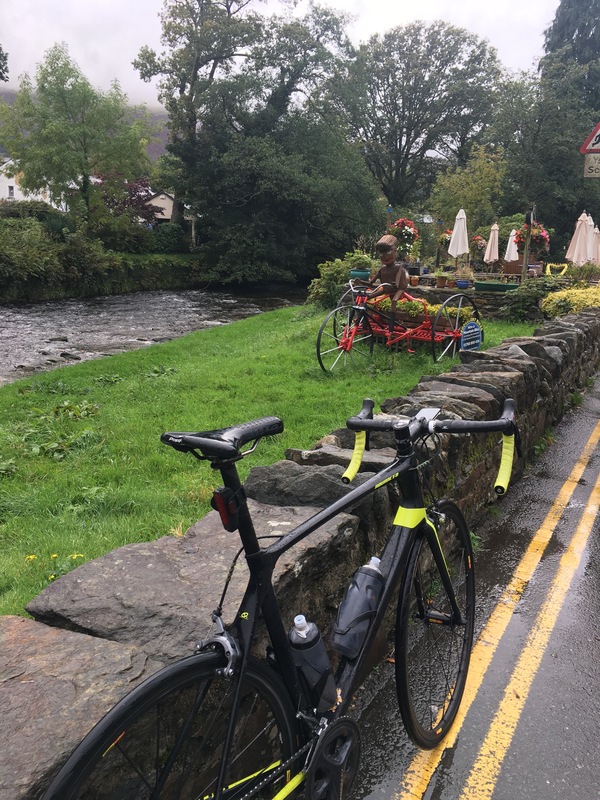 When Lucy said she was doing a Breeze course in Bangor, I thought that sounded like a great idea to go with her and enjoy a nice ride in Snowdonia as I waited for her.After it was planned I then found out that the course was running 9.00-17.00. I now had a lot of time to fill, so I foolishly decided to go and ride 100 miles. Lucy had started her course and I was left to faff about and get ready to ride. Heavy rain didn’t make me hugely enthusiastic about the idea though. Eventually the rain stopped and I thought this was my window. 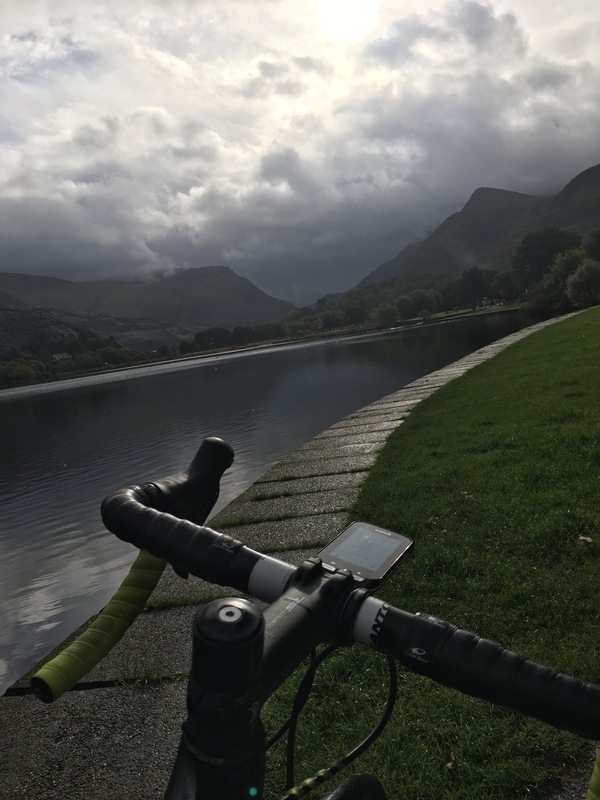 I headed out to Llanberis, which was the first major climb of the day, the Pen-y-Pass. Spray off the road made it impossible to stay dry. 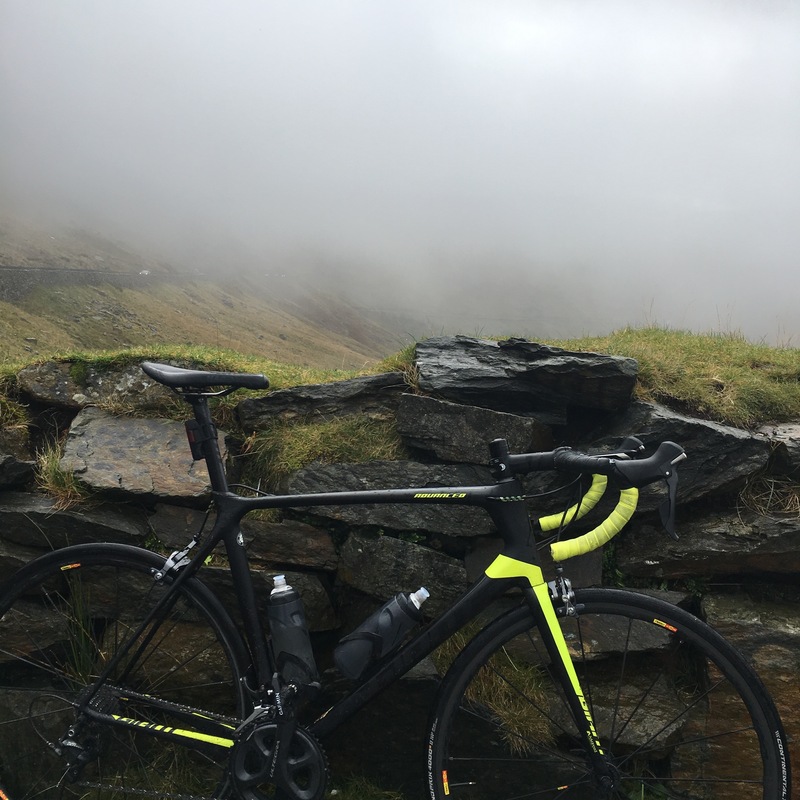 The Pen-y-Pass is a fairly enjoyable climb. It reels you in with a nice gentle gradient at first before properly kicking up towards the summit. At the foot of the climb the weather looked to be improving, so I had removed my waterproof and gloves, only to layer back up for the cold and foggy descent. 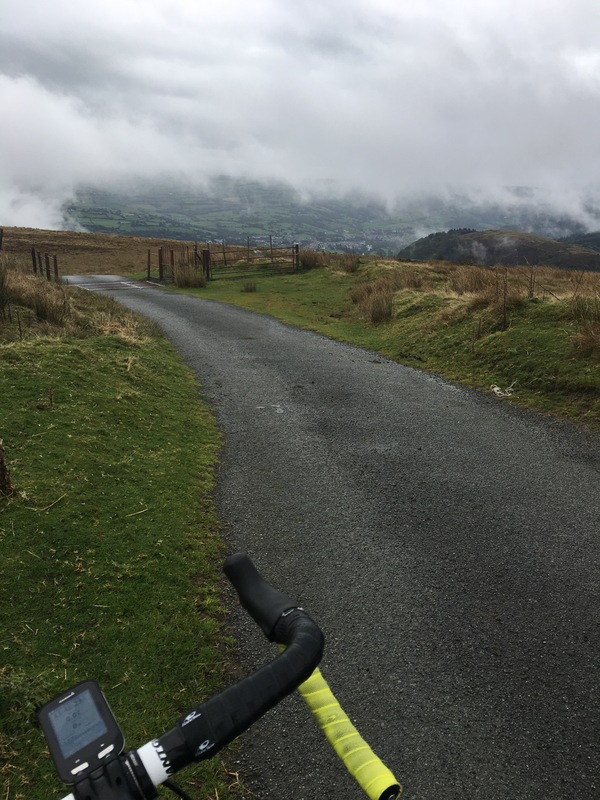 I shot down the other side through the fog and intermittent rain showers into Betws-y-Coed and then onto the next, and hardest, climb of the day. The small village of Trefriw isn’t known for much, but it’s where the climb of the Old Cowlyd starts. 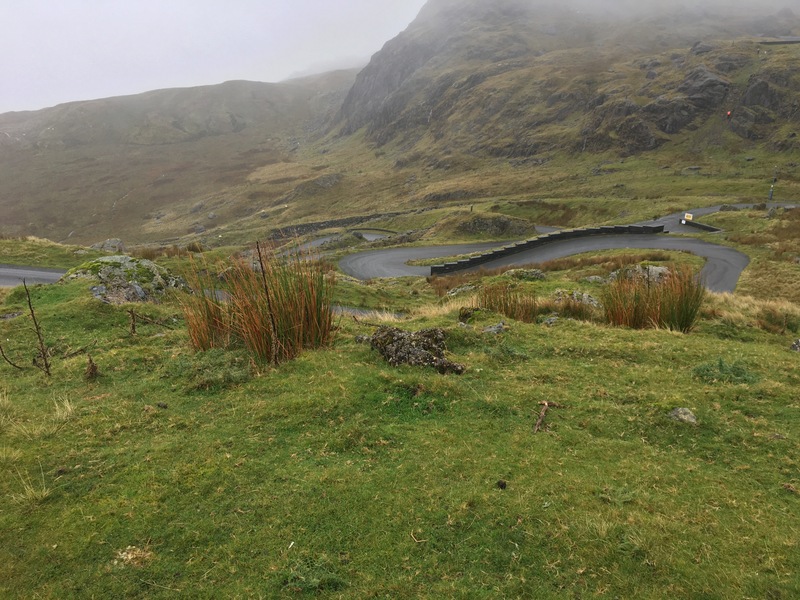 This bit of road is insane, its been described as the hardest climb in the UK. While the Pen-y-Pass starts gently, the Cowlyd delivers a sucker punch from the outset. Have you ever climbed something so steep your feet hurt? Well that’s what the Cowlyd has in store. The almost relentless gradient eases off slightly about halfway (but not enough to leave your easiest gear) and then you hit the hairpins. All 8 of them back to back and incredibly steep. Never have I wanted a climb to end so badly. 20 minutes of pain and suffering later I finally made it to the top. Now it was the short ride back to Betws and onto the Crimea Pass, which would take me to Blaenau Ffestiniog. The Crimea is one of the few wide roads in the area and again starts out fairly steady with a few kicks, until you get to the last mile which really hurts. About half way up the heavy rain returned. Rain heavy enough to cause a car to loose traction and almost spin a full 360 degrees right in front of me. This ride was turning out to be quite eventful to say the least. If climbing the Crimea was bad the decent was even worse. It was cold and wet with the rain drops like tiny bullets hitting my face. Yet I was stubborn enough to have the Stwlan Dam as the next thing to tackle. This dead end service road is closed to traffic and takes you up to the Dam at the top. The road snaked up the mountain with hairpins thrown in for good measure. It was such a relief to find there was a cafe near the bottom. 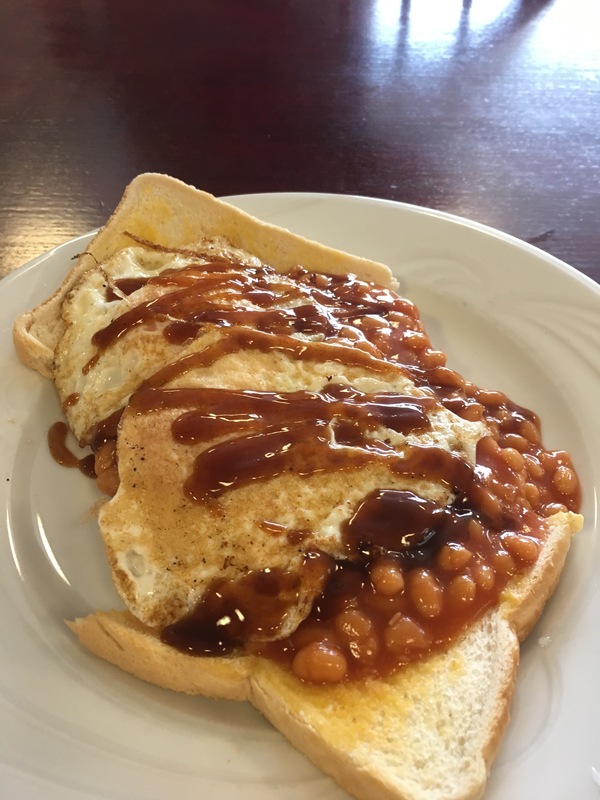 The kind ladies in there took pity on the drenched cyclist and made me an extra strong coffee and served up my order of egg and beans on toast in no time at all. I threw the food down my throat and then tried to warm up and dry out some of my kit. After warming up a bit and plucking up the courage to continue, I set off but only to find myself cold again! Now on the lumpy road to Beddgelert, the further I went the nicer the weather got. However, from Beddgelert I was riding on the long drag up to Rhyd-Ddu, which isn’t the steepest of roads really. With fresh legs it’s hardly anything. But with legs battered by 2000m of climbing over the 77 miles I’d ridden? It hurt and went on forever. 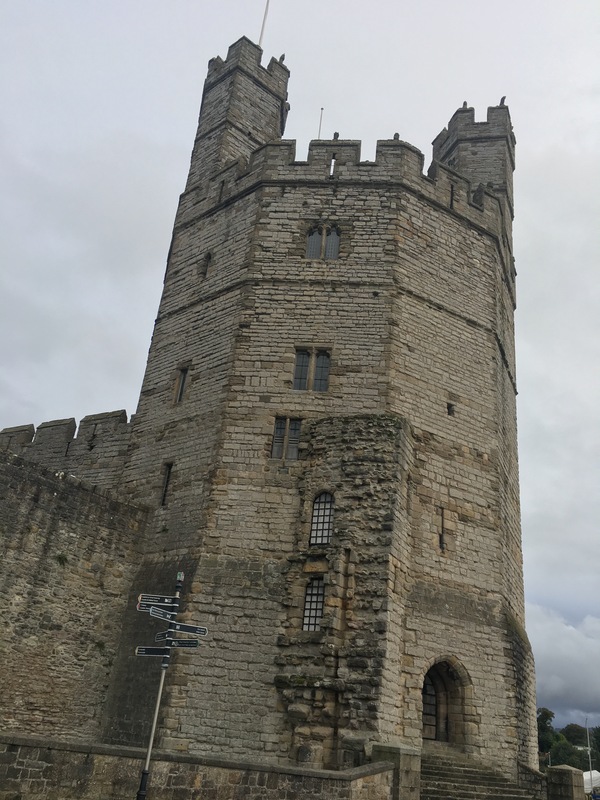 After that it was over to Caernarfon and along the coastal cycle path back to Bangor. I was glad for a bit of flat riding as every little hill struck pain into my legs. I got to Bangor with 96 miles on my Garmin, and although I was very tired, I couldn’t stop that close to the full 100. So after a couple of laps around some random streets I finished up at the university to find Lucy sat in the car having just finished her course. Not bad timing really.